The great thing about a stand-alone creative writing unit is that you can plug it in anywhere. It develops writing skills, class community, and creativity. I've been thinking about a new one for the last month, and it's finally ready to share here. 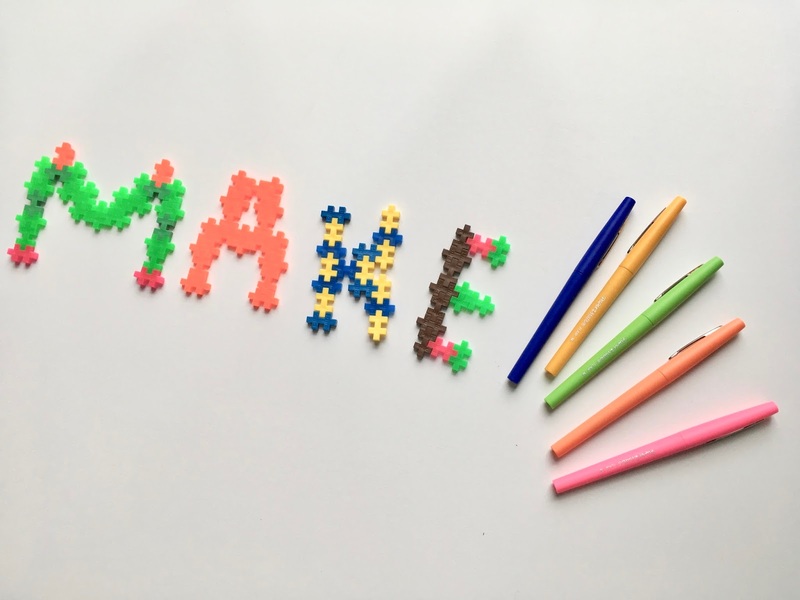 I've written before about Angela Stockman's wonderful book Make Writing, and her innovative methods of turning the English classroom into a maker space. Recently, I finished John Spencer's book Launch, about using design thinking in the classroom. As I began to explore design thinking with little experiments at home with my son, it was easy to combine Stockman's ideas about making with some of Spencer's about launching to an authentic audience. What if students created maker pieces, then wrote creatively about them, then launched their work out into the world? It really wouldn't be very difficult. To do a collaborative maker space writing project in class, you'd just need to follow these simple steps. Invite students to engage in a maker space activity. Using materials you provide or materials they find at home, students create characters or settings to share with the class. They might paint or animate, sketch or build, create a photo collage or a sculpture. They might use legos or play doh, clay or papier mache, wood or cloth. Let students present their maker pieces back to their classmates, introducing them to the ins and outs of the people and places they have created. As the writing community listens, they can take notes on which characters and settings they will eventually use in their stories. 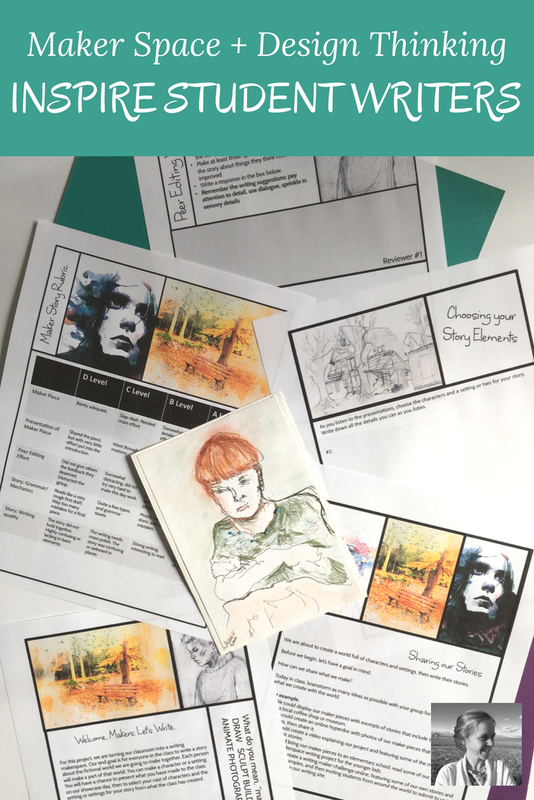 After setting up a display of the pieces around the classroom, invite students to meet in groups to talk about how the class might share their pieces and stories once they are done. Students could display their maker pieces with excerpts of stories that include them in a gallery at a local coffee shop or museum. Students could create an online hyperdoc with photos of the maker pieces that link to their stories, then share it. Students could create a video explaining the project and featuring some of the maker pieces and their stories, then post it to youtube. Students could bring the maker pieces to an elementary school, read some of the stories, and lead a makerspace writing project for the younger kids. 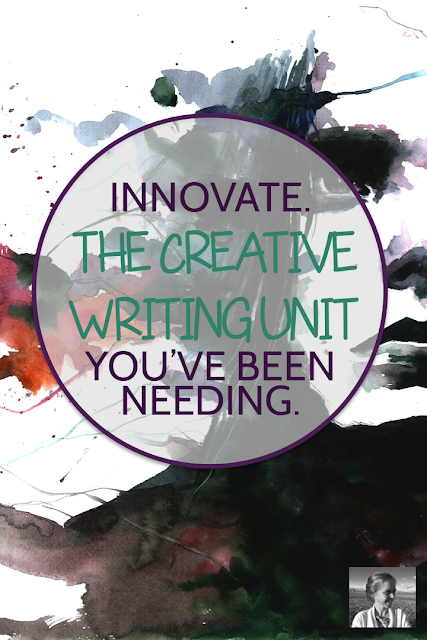 Students could create a writing maker challenge online, featuring some of their own stories and pieces as examples, and then inviting students from around the world to submit to them to be featured on a writing site the class creates. Let groups share their ideas and choose one to follow through with as a class. Let students photograph the characters and settings they plan to work with, then go home and write their stories. Ask them to weave in whatever writing elements you are focusing on in your course - sensory detail, dialogue, character development, varied sentence structure, striking imagery, etc. Let students trade their work with several other students, providing mechanical insights and overall feedback. Let students trade and read each other's work on the day the maker stories are due. Celebrate their successes! Grade the stories and then follow through with your launch plans. Wow, that was easy! You've just given students a chance to ride the maker movement wave and use some design thinking to target an authentic audience and share their work in a meaningful way. Whoo hoo! If you're maxed out on prep and you'd like to have the curriculum for this unit made for you, I'm delighted to say it's done and ready over in my TPT store. Here's what the very first downloader had to say about it: "I am so excited to use this! This is just the creative angle I have been looking for when it comes to writing stories with my students. Thank you so much for sharing!" I think you and your students will love it!